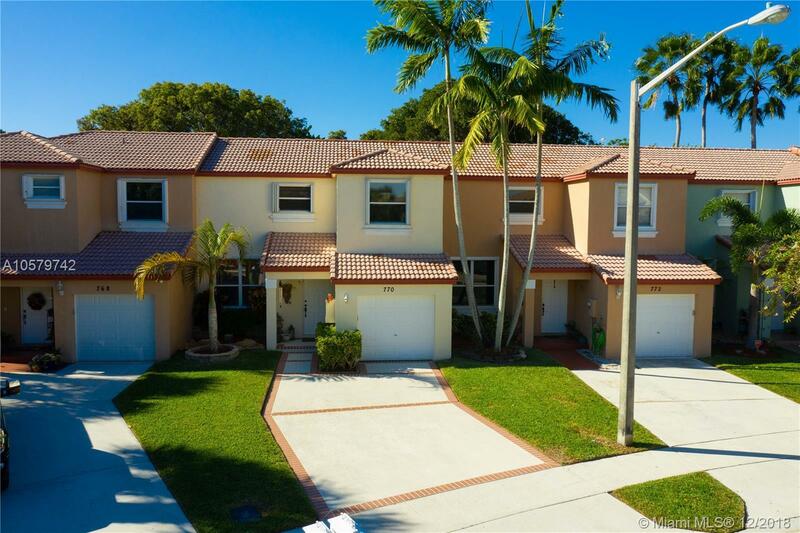 770 NW 154th Ave, Pembroke Pines, FL.| MLS# A10579742 | Susan J Penn l Best Agent l Buy & Sell South Florida Homes! Gorgeous, immaculate 3 bedroom, 2.5 bath town home that has updated kitchen & baths. The Kitchen features granite counter tops, beautiful cabinetry with under lighting and stainless steel appliances. This home also has crown molding, tile on the 1st floor with custom baseboards, bamboo wooden stairs with custom iron railing and accordion shutters. A new A/C was installed in Dec. 2018. The back yard is beautifully landscaped with a large patio. This desirable neighborhood has wonderful schools & beautiful community park with basketball courts, tennis courts, soccer field, baseball diamond and large pool. There are also 4 community pools and tot lots for residents to enjoy. Directions: From I75 Take Pines Blvd. West. Turn Right Onto NW 155th Avenue. Turn Right Into Park View. Turn Right On To 154th Avenue. You Will See The Townhouse On The Right.